If you are a business owner, then there are a certain set of questions that determine your need to hire top web design and development company! What type of business do you own? Do you have an online presence that reaches the targeted audience? If, Yes, then it’s hardly matters you are a startup or established business or individual. The real question is whether it respond or not, it means if your website is responsive enough or not? Do you think your website truck in the expected traffic you are looking for? Well, in order to survive in this competitive digital world, it is quite necessary to owe an online presence. No matter, what type of business you owe, it is more than necessary to have a website. Outsourcing or hiring an offshore company can be a great idea when developing a responsive website that hit and converts customers. These companies offer extensive and excellent services such as Drupal website development, Drupal development services, and Drupal consulting. In this blog discussion, it will help to reconsider certain decisions. Also, it will help you to understand how it will enhance your online business in the long run. In order to have a completely unique website, it is necessary to hire professional WordPress development company or Drupal development company, according to your needs. You are well aware that your website acts medium to share information about your company. Professional developers make it sure that your business stands unique in the competition. Creating custom design and functionality fulfills requirements of your business. Usability is one of the essential factors in the success of any website. In this regard, a professional can help you develop SEO-friendly website and content that build brand credibility easily. And uses will find easy navigation which can build loyalty. As we know, website optimization is required for all shapes and sizes websites. Content optimization is required to load speed, make search engines, and conversions. 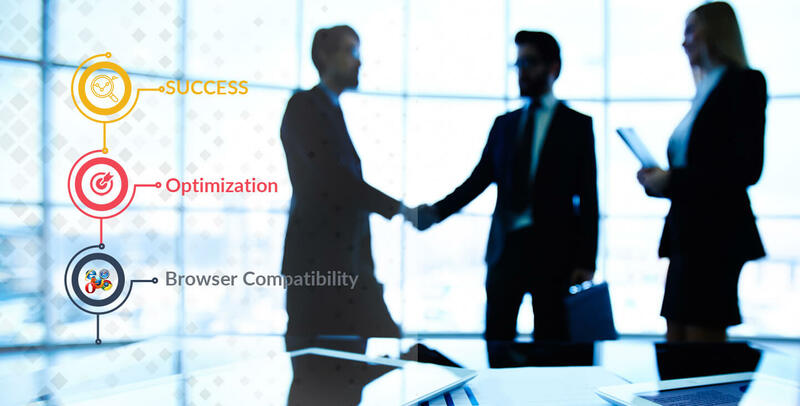 Top website development company ensures that your website run equally smooth in all other web browsers. Browser compatibility is very important because something it is not enough for a website to look amazing in one browser only. Hence, the website should be developed as such that it is compatible with all browser. On the top, the professional developers pay more attention to older versions as well as the new version to maintain the same compatibility across all browser. However, it may be difficult to choose a professional design and development company. But, it assists your company in building your brand with more responsive and unique design. Thus, hire the top agency to make a unique website with enhanced usability, dynamic code, and excellent optimization under one roof. At Root Info Solution-a top web design and development company. You can hire our professional developers having years of expertise and hands-on experience in building a responsive website for any industry vertical. NEXT POST Why Hire Dedicated Virtual Android App Developer For Enterprise?